To meet the needs and requirements of the clients, we manufacture a quality tested array of Ring Blower. The Ring Blower we offer is suitable for various industrial applications. We are amongst the most prominent enterprise actively engaged in providing a comprehensive array of Ring Blower. 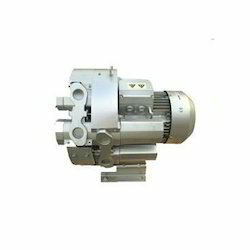 This ring blower is designed for cleaning combustion air supply, dental suction unit, gloves checking and vacuum loaders. Our ring blower used in all those applications requiring an operating vacuum higher than the one achievable by a fan. Customers can avail this ring blower from us in diverse specifications within a given time frame. 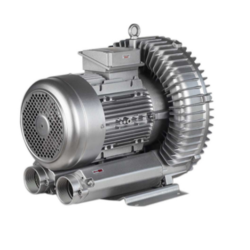 With enriched experience in the industry, we are engaged in offering a high-grade range of Ring Air Blower. This ring air blower is appreciated for its low noise level, high tensile strength, corrosion resistance, sturdiness and longer functional life. Offered ring blower is inspected on numerous parameters in order to deliver a defect free range. Forward inclined impeller system enables small size, light weight, and high blower pressure.